In this brief tutorial, I am going to show you how to add the capability to send and receive attachments with your FormIt form. This tutorial will be building on the MODx Revolution Beginner series and therefore we will just add to the contact form we created in the FormIt tutorial. I therefore recommend that if you’re not familiar with FormIt you read that tutorial first. I will admit here that I’m not entirely sure whether or not the FormIt snippet has a hook specifically for dealing with attachments, if you know of one please let me know in the comments. The method I outline here is the one I use and it works well and is simple to implement. 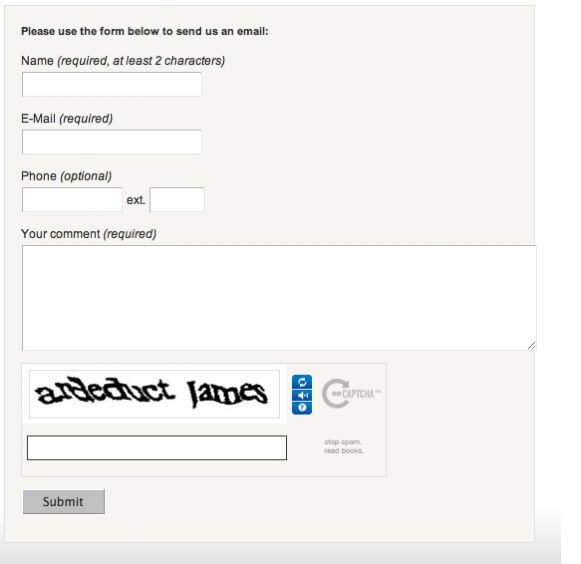 The form we’ve created so far has the following fields – name, email, phone, ext, message, and a captcha. 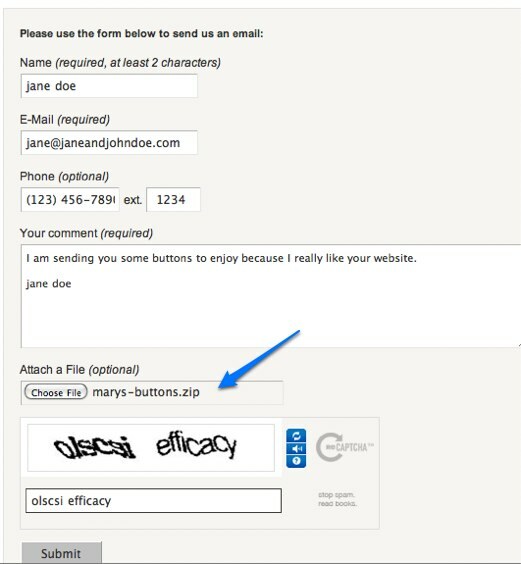 What we would like to do is add a field that will allow out site user to upload a file and attach it to the form. We then want that file to be sent to us as an email attachment. This is a pretty straightforward process. Let’s get started. The first and most important thing we need to do is set the enctype attribute of the form. Usually, this is an attribute that most users don’t set, and that’s generally fine because if not set, all HTML forms will default to “application/x-www-form-urlencoded”, which is fine for sending emails. However, if you want to add files to the mix, you need to set the enctype attribute to “multipart/form-data”. You can read more about enctype and other form attributes at the w3 website linked to at the end of this post. This attribute specifies the content type used to submit the form to the server (when the value of method is “post”). The default value for this attribute is “application/x-www-form-urlencoded”. The “multipart/form-data” value should be used in combination with the INPUT element, type=”file”. Now that that’s done, our form is ready to handle attachments, and all we need to do is add the upload field. This brings us to the end of this brief tutorial on how to add an attachment field to your MODx Revolution FormIt contact form. We have learned that we need to add the enctype attribute to our form and then add a field of type file. I encourage you to take some time and read the w3 link below if you want to understand more about forms in general. Hi Mary! Loving these tutorials. Glad to see you back in action. Re: your question about an attachment hook; no, FormIt doesn’t have one. 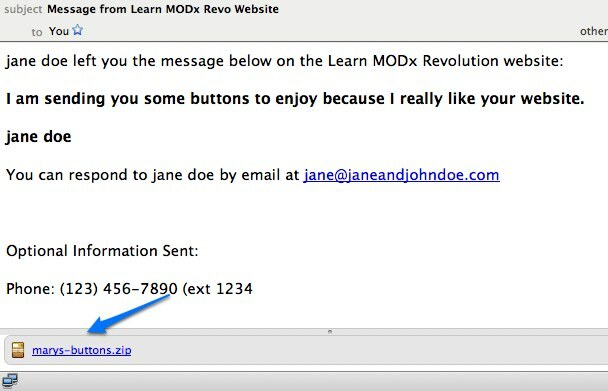 What it does instead is in the “email” hook, it automatically processes the attachment as a field and attaches it to the email. So, in that sense, the email hook automatically handles your attachments without need for configuration. Absolutely. I suspected as much but wasn’t sure. Thanks for the clarification. Can I save the attachment to a serverpath and link it in the email? Thanks in advance and for your great tutorials! Haven’t tried this before. So do you mean basically save the attachment somewhere on your server and then just have a download link sent in the email? attaching documents to emails seems quite easy, but what adding about attachments to a database with FormIt. Any suggestions? I already used formit2db to save a form into a database and it works fine – for text form fields. I’m looking for a way to save a document (.doc, .pdf) directly to a mysql database table, without saving it to the webserver before. Hi, I’m trying to make that attachement work on my site, is there a hook needed or something? I’m using revolution 2.1.0-pl with formit 1.6.0.
all my forms are working execpt the part that I’m trying to attached a file to the mail. I’m having the same problem as Francis. I have the enctype set correctly and the form fields set correctly (according to all instructions). However, no attachment comes through. I get the rest of the email just find and I see no errors. Am I missing something? After adding [[!+fi.contact_attachment]] to email chunk I got file name in email. All done by your tutorial. Absolutely great stuff Mary. Please don’t let this be the end of it. a) Adding a file-type restriction (so only certain types of files are allowed to be uploaded). c) Any other security features that could limit the chances of malicious scripts being uploaded to my server, or worse emailed to a client. Any advice on this matter would be greatly appreciated. However, bear in mind that this method as outlined here is simply attaching files to be sent by email, not necessarily uploaded and stored in your server. So where you need to exercise care is in opening the attachments on your end. Thanks Mary, I’ll check out the link and see what I can work out. has anyone gotten this to work? im on modx 2.2.1 and formit 2.0.3 and I have tried everything to no end. This is a gem! I got it to work on my site. Thank you! Thanks Mary, this worked perfectly for me on 2.2.8 with FormIt 2.2.0. 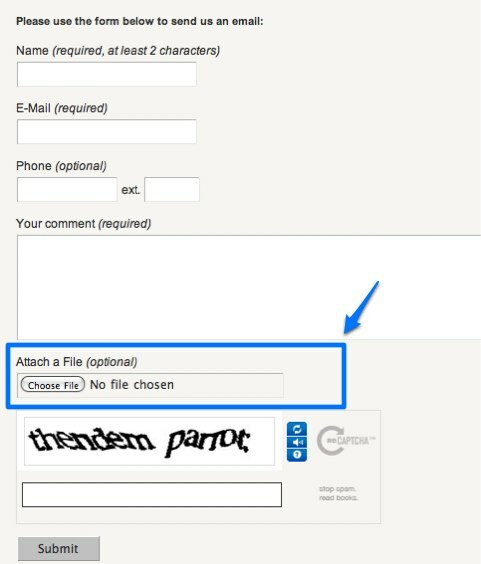 One question – do you know where FormIt temporarily stores the attachment? I understand it’s a directory somewhere. Stretch, I think it saves it temporarily on your server’s tmp folder. Not 100% sure but that would be the logical place. This post saves my day again. Thanks!